Shocks, Struts & Alignment, We Do It All. Schhedule Today! When a car’s suspension does not work properly, it is more than just an annoyance – it’s dangerous. To maintain full control of your vehicle, a properly working suspension system is necessary. By absorbing bumps smoothly, the shocks and struts enable proper steering, preventing the car from pulling in directions you do not want to go. No matter what type of suspension system your car has, our Dallas auto repair experts have the tools and experience to diagnose and repair your shock, struts and suspension problems. Most vehicle manufacturers recommend that your shocks and struts need maintenance about once every 50,000 miles. A wheel alignment is the adjusting of the wheel angles so that they are perpendicular to the ground and parallel to each other. The reason for the alignment is that it maximizes the life of your vehicle and helps with steering. If your wheels are out of alignment it can cause your car to unnecessarily drift one way or the other , and your tires will wear unevenly. This could lead to having to replace your tires more often as well as great difficulties steering. Steering problems can eventually get worse and cause a hazard to the driver and those around you. 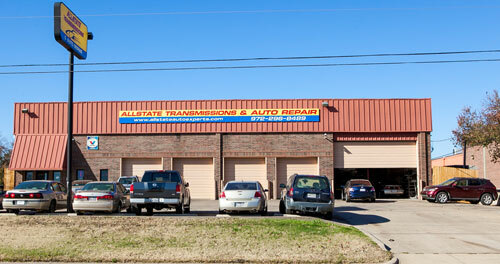 Vehicle pulls up when you accelerate or your front end dips when you brake, it is time for suspension repairs. When a vehicle bounces at even the smallest deviations in the road, which is a definite sign that your shocks and struts are wearing down. Early tire wear signifies a safety risk to you and the drivers around you. Suspension problems along with alignment can cause early tire wear. A loose rear suspension will cause the front end to feel loose. Noise or vibration due to auto speed may be in need of new shocks or struts, and points to the need of a suspension repair. Common sign of a suspension problem is the annoying sound that is not common. When they hear the word ‘suspension’, DESOTO auto owners may think back to those energetic days of grade school. Well, your car’s suspension is actually a good thing because it keeps your car up off the road and helps provide a comfy ride around Cedar Hill. Its job is to keep your wheels firmly planted over bumps and through curves. Your suspension system has many parts. If you look under your car, it’s basically everything that connects your wheels to the car’s frame. These are heavy duty parts that do a lot of work. They need to be inspected for damage and excessive wear at least once a year. A good time for this is when you get your annual alignment service.